this is an idiom that means you need something urgently and can’t afford to waste time. The word ‘yesterday’ is used as an exaggeration to express urgency. Eg. When do you need the survey? I need it yesterday. this idiom means to get a start or an opportunity. It’s a way of expressing you need a small chance or an opportunity. Eg. I’m having a hard time getting my foot in the door. I can’t even get a job interview with someone. A time during a work shift when an employee is not working or a machine is not in use/operation. Informal way of saying it’s the time when you relax and do not do much. Eg. The company intends to have back-up machines at another location to minimize service downtime in the event of server failure. have complete knowledge in a particular field, to understand and comprehend without any difficulty. Eg. Maria’s an excellent scholar of political science, but lacks the kind of savvy needed to work for a public office. to make something well-known, prominent or famous. Eg. The good food served at this new cafe will really pu this place on the map. to do a lot of extra things so you can have or do something you want/complete a lot of tasks before being permitted to do something. Eg. The insurance company made me jump through hoops before they’d give me a health insurance. I had to do a lot of medical tests. 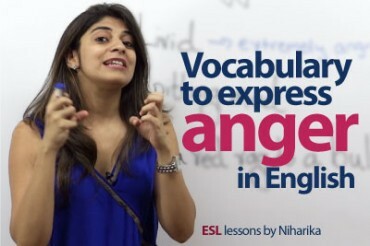 Vocabulary to express ‘Anger’ in English. Stop asking the question – HOW ARE YOU? 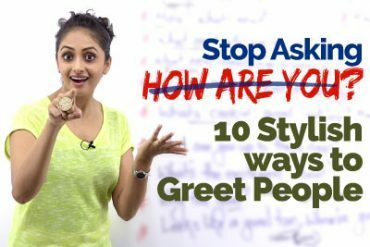 Learn10 Stylish Greetings in English. 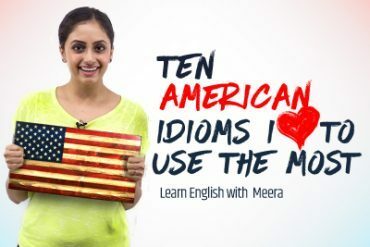 10 American English Idioms & Expressions I Love to use in daily conversation. You guys are doing a great job !